Our range of products include residential wooden doors, traditional front wooden door and waterproof wooden doors. We are the leading supplier of Residential Wooden Doors made available to our clients at competitive prices. We are a service provider of Architectural And Structural Designing Services, Powerfields Industrial Engineering Services. These services are highly reliable, cost-effective, flexible and timely executed by our experts. Our products are highly demanded in the industrial as well as commercial sector for their flawlessness, prolonged service life, excellent resistance to corrosion, abrasion and rust, strength and convenient installation & applications. Packaging Details: Strong carton/shrink film on the production /foam board around the carton as your requiremen. 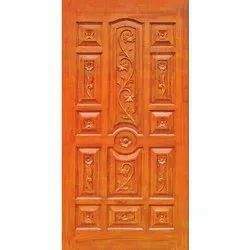 We are amongst the highly reliable manufacturer and supplier of supreme quality array of Traditional Front Wooden Door. 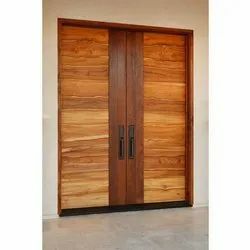 Our wooden doors are perfect for domestic and commercial applications with its very beautiful designs and excellent strength. These Traditional Front Wooden Doors are very efficient to use with excellent carvings that are very eye pleasing. Our wooden doors are designed to withstand varying abrasions from daily use. 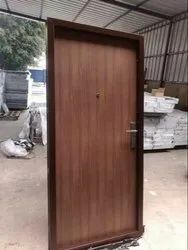 These wooden doors are available to our clients at very affordable range of prices delivered on stipulated time frame. Our shopper can avail from us an exclusive series of Waterproof Wooden Doors Manufacturer. Furthermore, we offer this product in diverse specifications that meet on pterion’s demand. Manufactured making use of supreme in class material and progressive tools; these are in conformism with the guidelines defined by the market. Along with this, these are tested on a set of norms prior final delivery of the order.